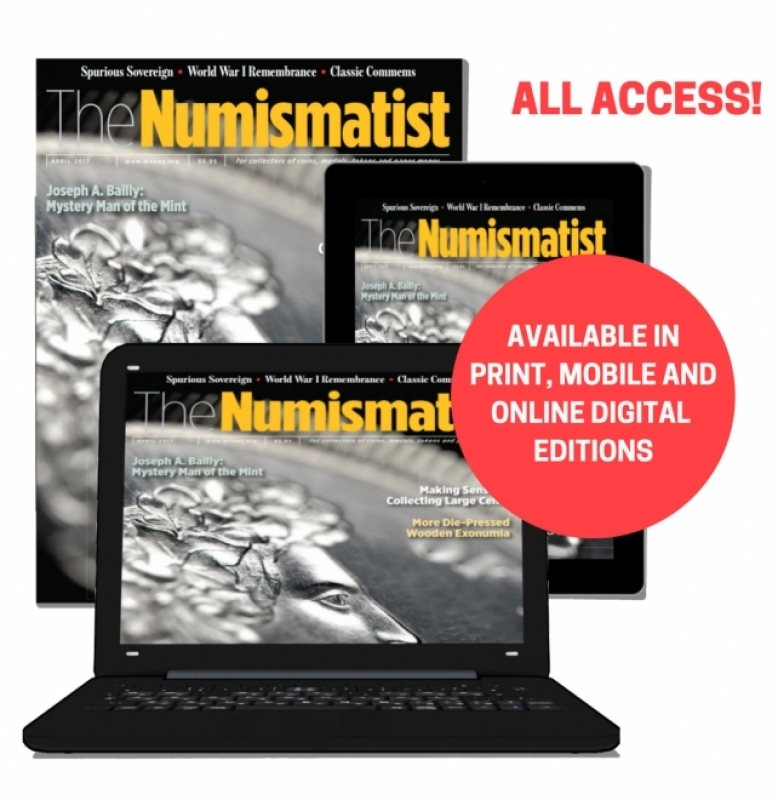 Now in its 130th year, The Numismatist—the official publication of the American Numismatic Association—focuses on the fun, the history, and the allure of coin collecting. This beautifully illustrated monthly magazine is packed full of articles and features written by leading numismatic experts covering all facets of the hobby, from coins and tokens to medals and paper money … plus hobby news from across the globe. The Numismatist also strives to introduce readers to real-life collectors who share their interests and challenges. Writes one reader, "It is refreshing to see an everyday numismatist describe his modest collection while interweaving personal stories and historical context. His article was something I could relate to, and it actually inspired me to 'dust off' some of the pieces in my own collection for some newfound enjoyment and rumination." Now with coin values! 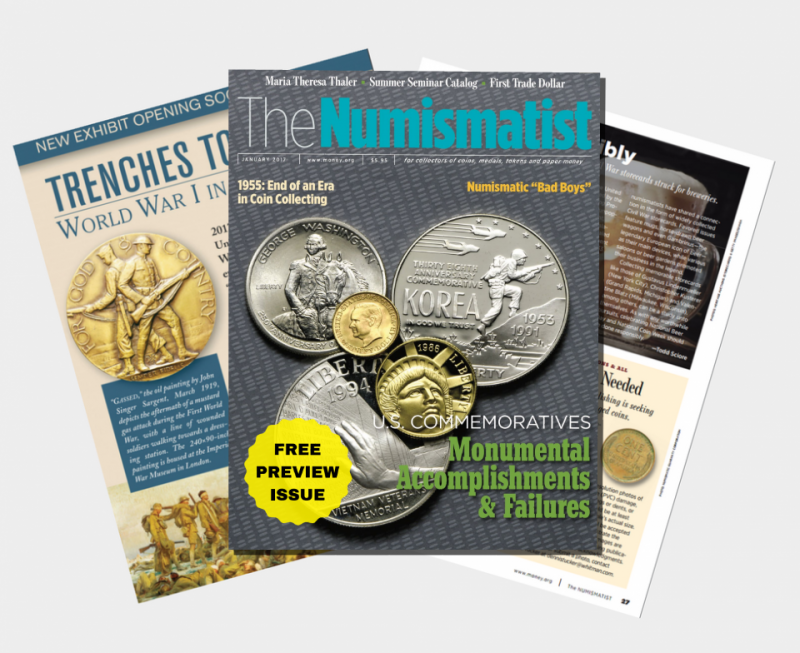 The Numismatist and The Coin Dealer Newsletter are collaborating to provide ANA members a retail pricing tool for collectable U.S. and Early American coinage. Each supplement offers up-to- date values on a variety of coin types and denominations on a monthly rotation. 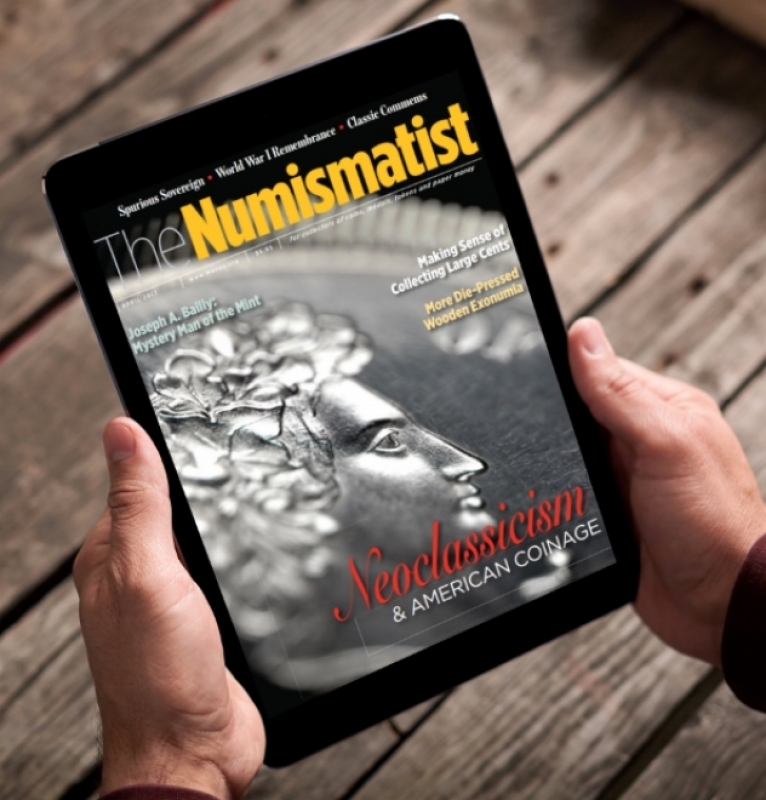 Plus, as a member, you have FREE digital access to all volumes of The Numismatist, from 1888 to the present, a one-stop reference for the beginning hobbyist and the experienced collector. "I would like to commend the ANA on the preparation and release of the digital archive of The Numismatist. As a researcher with an extensive library relating primarily to Latin American numismatics and monetary history, I find it invaluable." "I joined the ANA in 1985 and have saved each issue of The Numismatist since then. I jot down the cover date and page number of every article about coin grading or authenticating on index cards so I can easily refer to them later. " "I was so excited by David Schenkman’s September 2016 "Tokens & Medals" column about the Colonel James Fisk token that I had to buy one right away!"